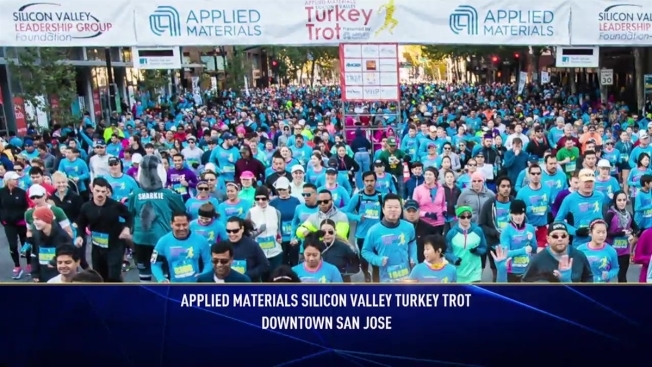 Start your Thanksgiving off with the right food when you participate in the Applied Materials “Silicon Valley Turkey Trot”! Before the big feast, football games, the parades and the pies, why not get into a little exercise with a few thousand of your local neighbors? It’s an event fit for the whole family and make this “run” or “walk” a new Thanksgiving Day tradition. Your participation helps the Healthier Kids Foundation in Santa Clara County, Housing Trust Silicon Valley, Second Harvest Food Bank of Santa Clara, Harvest Food Bank of Santa Cruz County, and The Health Trust. So many charities will benefit when you simply sign up to register! Now in its 12th year, choose the 5K or 10K run/walk that goes all along the San Jose Downtown area! *Race times subject to change.